Founded in 1954, Hoosier Spring has built a reputation as a trusted custom spring manufacturer producing superior magazine and AR springs, extension and garter springs, compression, conical, barrel and cylindrical springs and wireform, clock and custom miscellaneous springs based on their commitment to quality and outstanding customer service. Contact Hoosier Springs to learn more about their custom springs today! From the Midwest, across the Americas, and worldwide, our products are used in a diverse number of applications, and Assembly Masters has earned a reputation for consistency and superior workmanship. Our customers know that they can count on us to provide what they need quickly, with the highest quality and a fair price. We manufacture Wire and Cable Assemblies, Formed Power Cables, Air Core Inductors / Air Coils, and many other related products. 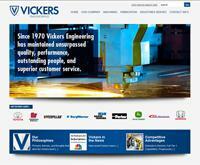 Established in 1970, Vickers Engineering has evolved into a world class Precision Machining and Fabrication Company. ISO/TS 16949 Registered firm, Vickers approach to ‘quality’ is something that should be assumed, not applauded. 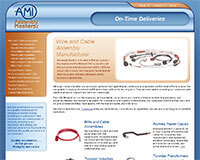 The Vickers Quality System is designed to support our ultimate goal: Customer Satisfaction. With over 100 CNC Machining Centers, multiple laser cutting machines, robotic and non-robotic weld stations, and several automated machining cells housed in our two plants, totaling 170,000 sq ft, Vickers services the Automotive, Oil & Gas, Agriculture, Defense, and Industrial markets. Whether it is a short prototype run, or a Tier 1 Automotive mass production opportunity, Vickers has the quality system in place to exceed any standard customer requirement. We believe world class quality starts upon receipt of an RFQ and continues through to the customer, every time. While experiencing compounding growth, Vickers has been able to maintain its core values: quality, reliability, outstanding people, and superior customer service. Contact Vickers Engineering for more information about their Precision Machining and Fabrication. Contact Cor-A-Vent today to learn more! Proven durability, quality craftsmanship, and prompt delivery: These are the traits that set us apart from the rest. We are the original inventor and patent holder for the sealed seam Corrections / Jail Mattresses with the integrated pillows. Our products are designed and independently tested to be tough enough to withstand the jail/prison environment, yet safe and comfortable enough to meet your specific needs. We offer standard and custom-sized mattress products with a variety of both core and cover options. We are your complete mattress solution. 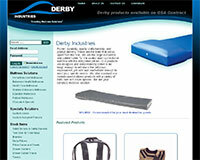 Also check out our line of health care mattresses, education mattresses, and other products. 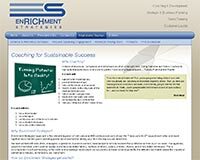 Enrichment Strategies has worked with executives, managers, supervisors, business owners, salespeople to not only improve their professional lives (such as sales, management, growth & innovation, and customer loyalty), but to become better fathers, mothers, brothers, sisters, children, friends, and in fact, better individuals. This is accomplished by not just focusing on the skills and knowledge necessary to be successful, but even more importantly, the attitudes and habits where the majority of performance failures, terminations, etc. come from. Enrichment Strategies provides many services including coaching and development, strategic & business planning, and sales training. 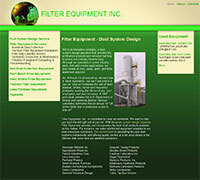 Filter Equipment - Dust System Design is a specialist that provides air filtration products and services that help business and industry breathe easy. Filter Equipment Services methods and procedures eliminate air contaminants from visible clouds of weld smoke to invisible fumes, VOCs, and particulate matter. Our professional dust system design service can help you choose the air filtration products and equipment that precisely fit the needs of your business at a competitive, but very reasonable price. Reduce-Reuse-Recycle and Save! Let Filter Equipment help you cut air filtration costs with our filter bag laundry service. 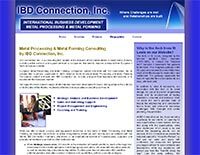 IBD Connection, Inc. is a consulting firm located in the Midwest of the United States in South Bend, Indiana, providing active advisory and support metal processing & metal forming consulting services to companies that seek to improve or expand their European / North American markets. European companies contact and work with IBD Connection, Inc. to develop metal processing and metal forming projects in North America. North American Metal Processing and Metal Forming Companies contact and work with IBD Connection Inc. to build and grow their business domestically or to expand into the European market. 3rd Time's a Charm Thanks to BANG!